Coincidentally (and Providentially!) 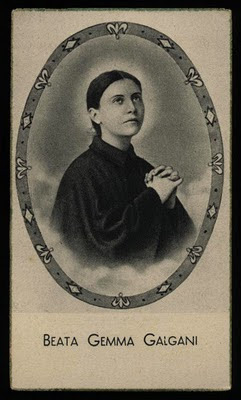 Saint Gemma's feastday this year (April 11, 2010) falls on Divine Mercy Sunday, which is exceedingly appropriate when we consider St Gemma's extraordinary life as a Victim Soul for the conversion of sinners, and her many comments about the mercy and forgiveness of God, as found in her writings on this website. In fact the great dome on the Monestary Church of St Gemma Galgani in Lucca, Italy bears one of Gemma's remarks on the mercy of God- in giant letters encircling the vast interior of great Church dome it says- "I wish, oh Jesus, that my voice could reach to the ends of the world, to call all sinners and tell them to enter into Thy Heart!" And beneath the Church dome, inside the main altar, lies the venerable remains of St Gemma. 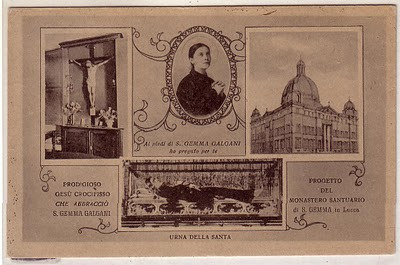 "...Does anyone know why certain websites, as well as certain so-called "updated" Catholic calendars [including some online], are indicating that St. Gemma Galgani's feast day has been completely removed from our official Church Calendar? In the places where I've seen this, I've not even found any indication that the date has merely been moved from 1 day to another; nor even perhaps simply changed, say, from a regular feast day to "an optional memorial" or one of those other types of categories...M.K." I will offer an explantion with the information that I have received over the years. 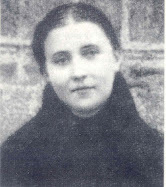 The Universal Church Feastday (Memorial) for St Gemma Galgani is April 11th. 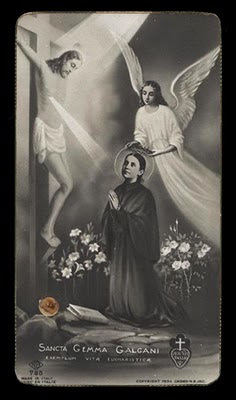 For the Passionist Congregation, the Memorial Feast of St Gemma has traditionally been celebrated on May 16th, as it is up until this present day. The reason for May 16th is because April 11th (the day of her death and entrance into eternal life) already contained the Universal Church Feastday of St Leo the Great, Bishop and Doctor of the Church, so May 16th was chosen by the Passionists as it was a "free" day, with no other major Saints being celebrated in the universal Church on that day, and also May 16was close to the day of her offical canonisation (May 14). And for those interested, the official 2010 Passionist Feastday Calendar with the Mass Readings of the various Saints can be found here. Prior to the recently revised Roman Calendar, St Gemma's feast was recognised on the universal Roman Church Calendar on April 11th, that is, the date of her death and birth into eternal life. However, like many other Saints and Blesseds, her Feast day (Memorial) was removed from the most recent Roman Calendar in an effort to cut back on the number of universal Saint feastdays that were celbrated throught the universal Church. However, this of course does not mean that her feastday memorial no longer exists, or cannot be officially celebrated--it simply means that it is not part of the official Roman Calendar of Saints as celebrated by the universal Catholic Church throughout the world. Of course, only a small number of the thousands of Saints and Blesseds in the Church are officially celebrated and recognised on the Universal Roman Catholic Church calendar. It is understandably not possible for the Universal Church to celebrate the feastday of every Saint and Blessed. 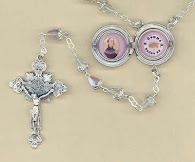 Nevertheless, her two Memorial feastdays, April 11th and May 16th are celebrated in various Churches and religious Congregations throughout the world each year, a couple of thse celebrations have been highlighted on this website previously. "You see, my Jesus, that I have such great confidence in You that if I saw the gates of Hell open and I stood on the brink of the abyss, I should not despair. And even if I saw heaven and hell against me, still I would not despair of Your mercy, because I would put my faith in You. You are so compassionate, so merciful!" "You are great, oh Jesus, but my soul---permit me to say it---my soul will enable Thee to appear even greater, because Your mercy will achieve such great victories in me." In the last days of her illness, to the nursing Sisters of St. Camillus who had asked her which was her preferred prayer, she answered with great feeling: -"My Jesus, mercy!" "I am not seeking Thy Justice. I am imploring Thy Mercy. Then Jesus, go in search of that poor sinner; press him to Thy Heart and You will see that he will be converted. At least try it ... Listen, Jesus, You say that You have made many forcible attempts to con­vince him, but You have not yet called him 'son.' 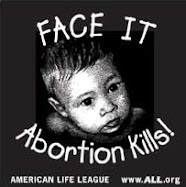 Try that now, and tell him that You are his Father and that he is Thy child. You will find that on hearing this sweet name of 'Father,' his hardened heart will soften. I know, Jesus," she said, "I know it, that he has offended Thee thus grievously. But I have done worse and, for all that, You have shown me Mercy. I know, I know, 0 Jesus, that he has made Thee weep. But now, Jesus-You must not think of his sins. You must think of the Blood You have shed. What immense Charity, o Jesus, have You not lavished on me! Use with my sinner, I implore of Thee, all those delicacies of Infinite Love that You have used toward me. Remember, Jesus, that I want his salvation. Triumph, triumph, I ask for him of You in Charity." "My heart is always united to Jesus, who more and more consumes me. Oh my most sweet Jesus, I would wish to be all dissolved in the midst of the flames of Your Love. Oh, how can I correspond, my God, since You have given me so much? Who will help me in this? To Your Mercy alone I owe the little love that there is in my poor heart for Thee." Writing to Father Germanus Gemma states: “But can it be true, that Jesus is content with my soul? Oh, how often I blush and tremble at seeing myself so unclean in His presence! I have turned away when He called me. Oh, Father, do ask Jesus often to have mercy on my soul! Implore Him to pardon my sins. Tell Him that a thousand pains of body and soul will seem to me nothing if only I can make atonement for my faults. Oh my God, the chastisement will never be as terrible as I deserve. Pun­ish me as Thou will, but take off the weight of so many sins, for this weight oppresses and crushes me. Woe to me if for one instant I were to lose sight of my faults and my iniquities! Oh, what disgust I feel for myself! Jesus dishonored by me! The goodwill that I seem to have is my only comfort in the midst of so many miseries." "..I found myself in a few minutes before Jesus, to­gether with Mother Giuseppa. Finding myself near such a saintly soul, I fully understood my wretchedness and my weakness, I knew my nothingness be­fore God, and turning to her, Mother Giuseppa, I begged like this: "Oh chosen soul, you who take pleasure in your Jesus, being his bride, you have made him your heart's beloved; I turn to your mercy, that you may aid me with Jesus. Offer some prayers to him for me." "See, my God, if you had bestowed all these graces, these gifts, these favors on a soul who in return would have offered You a treasure of virtues, so many benefits would not have remained unpaid. But in granting them to a soul like mine, through sheer mercy...."
"I am burning, Jesus. What happiness for me if I were entirely embraced with Your pure love! 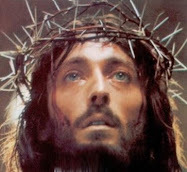 Oh Jesus, I im­plore Your mercy, but I do not ask for Your delights which I do not deserve at all. It would be sufficient, oh Jesus, to be nourished with Your heavenly bread." "My guardian Angel has not left me for even a second; yet, how many omissions, how many faults even in his presence! My God, have mercy on me!...Here I am at Thursday. The usual disgust descends upon me; fear of losing my soul comes over me; the number of my sins and their enormity, all open up before me. What agitation! In these moments my guardian Angel sug­gested in my ear: "But God's mercy is infinite." I then calmed down." "Lord, if you wish, you can save me; but the number of the sins I carry with me is great, and it is infinite. Remember, Oh Jesus, your mercy." "Oh my God, if I could be certain even for a little while that I never offended You! Oh, I don't deny it; I am a sinner, but for this I do not want to despair because should I despair, I would be deny­ing Your mercy. My Jesus I love You, but if I love You too little, let me love You more." "...I know too well my unworthiness, but I also know Your mercy." "...I found myself before Jesus but he was not alone. Standing beside him was a man with white hair and from his habit I knew that he was a Passionist. He had his hands joined and he was praying, praying fervently. As I looked at him Jesus said to me: "Daughter, do you know him?" I told him "No," as was true. "Look," he added, "that priest will be your director and it will be he who will recognize in you, miserable creature, the infinite work of My mercy." And so while praying to God for His infinite mercy this upcoming April 11-Divine Mercy Sunday, let us also invoke the intercession of St Gemma on her feastday, asking her to obtain mercy for us and for all of humanity. David, a friend in St Gemma, has written a nice article about St Faustina and St Gemma for the feast of Divine Mercy. Those interested may read it here. When I was in seminary, I remember raising the question of St. Gemma's feast day in one of our liturgy classes. The response from the professor was that we would be free to celebrate St. Gemma's feast day as long as no other liturgical days took precedence. I was very pleased to discover that the webmaster of our parish website listed St. Gemma's feast day on April 11th. Seeing that it will be the First Sunday after Easter, it will give me a wonderful opportunity to work St. Gemma into my sermon that day. Glenn, thank you for including the link to my blog post. I intend to perform some special act of devotion to St. Gemma on Sunday. She has truly become my dearest friend in heaven, aside from Jesus and Mary.